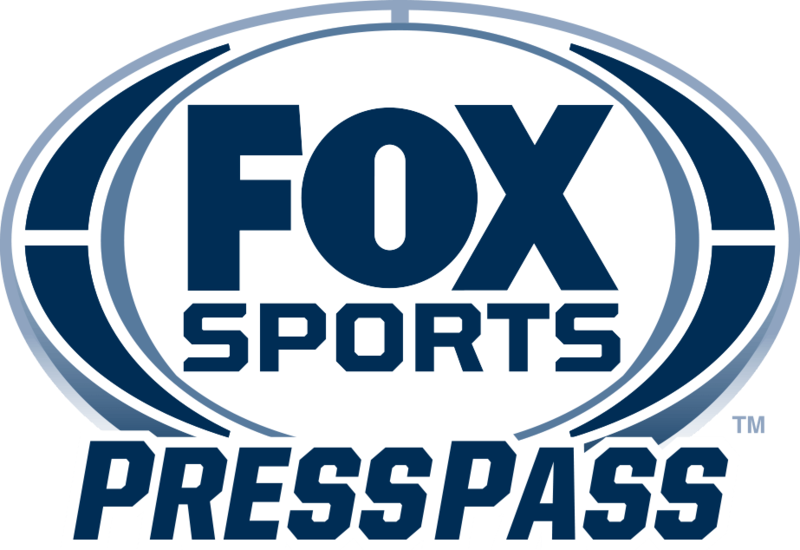 CHARLOTTE, NC – FOX Sports opens the 2018 NHRA Mello Yello Drag Racing Series this weekend from Auto Club Raceway in Pomona, Calif., with three hours of final-round coverage live on FS1 on Sunday, Feb. 11 (5:00 PM ET). Coverage of the Lucas Oil Winternationals begins Friday, Feb. 9 (6:00 PM ET) with Friday Nitro Live on FS1. Heading into the season, boothmates Rieff, two-time Funny Car champion Pedregon and Massel offer insights into the big stories, new faces in new places, comeback candidates and their picks for the 2018 championships. FOX Sports: As we prepare to open the 2018 NHRA season, what are the top one or two storylines you are looking at heading into Pomona? Pedregon: The first is the 2018 Funny Car class. It may well be the most competitive field in more than a decade. As it stands, there will be at least three big-name drivers who will not make the Mello Yello Countdown to the Championship due to the depth of competition … the other would be Brittany Force, who made history in 2017 as the first woman to win a Top Fuel championship in 35 years. Top Fuel may not have the depth that we see in Funny Car, but there are easily five drivers who are more than capable of winning the championship. Rieff: Top stories coming into 2018 are Brittany Force and Steve Torrence for all the obvious reasons. Brittany just the second woman Top Fuel champion, and Steve is on an all-out redemption tour … Over the last 15 seasons, there has not been a repeat Funny Car champ. John Force was the last to do it in 2002. It proves the strength of the category, which only gets stronger this year with Shawn Langdon moving over and Bob Tasca returning full time. It is THE class with a ton of heavy hitters … Other stories worth watching include Ron Capps and Torrence, as both enjoyed incredible 2017 seasons that fell short, and Tanner Gray in Pro Stock — how will he respond after a great rookie campaign? Massel: The top storylines heading into Pomona would have to be some of the crew chief changes we have seen. Mike Neff, leaving John Force Racing and heading over to archrival Don Schumacher Racing … Brian Corradi, co-crew chief to two-time Top Fuel champ Antron Brown, going the other direction and heading to JFR from DSR. There were some fireworks last year as a result of some crew chief swaps between these teams and this might cause some drama early on. FOX Sports: Are there any new faces fans should be paying attention to in any of the pro classes – if so, who and why? Pedregon: A familiar face in a different place, Shawn Langdon is in the seat of a Kalitta Funny Car that can win races, and with Shawn’s ability, should be good for at least a couple wins … Bob Tasca is bringing Ford back into the mix and could mix things up as well … Doug Vancil with the Vance & Hines Top Fuel Harley will be jumping into this exciting class and will instantly be a front-runner. Rieff: I like Mike Salinas. He’s been around for a number of years and is serious about his Top Fuel racing. Not the first time we’ve seen him, but I would say that he has been “gearing” up for this opportunity his whole life. It would not surprise me to see him in final rounds this year … and shoot, why not a win? Massel: A racer fans should pay attention to in 2018 is a familiar face in a new place. Shawn Langdon, former Top Fuel champion and two-time Sportsman champ, has made the switch to Funny Car. He is a talented driver in a very strong car, with all the funding and resources necessary to win a championship. I expect him to struggle a bit with the change early on, but after he gets a few races under his belt, this will definitely be a team to watch. FOX Sports: Among racers who didn’t perform as well as expected in 2017, who do you expect to bounce back and why? Pedregon: Steve Torrence will be interesting to watch since he let the championship slip away at the final race of 2017. I believe he now has not only the motivation, but the experience needed to go along with his talent. Now that he has been through a battle, he will know how to deal with pressure … Tony Schumacher will be another driver who will climb back up the ladder now that he has a new tuner. Rieff: Tony Schumacher — Top Fuel’s best does not measure up with an eighth-place finish. Let’s see how “Zippy” does in 2018 … in Funny Car, John Force and Cruz Pedregon; the division’s most talented looked otherwise in 2017 … In Pro Stock, Vincent Nobile — the “natural” with a very un-natural year. I expect him to rebound. Massel: I’m going to go out on limb here and declare “The Sarge,” Tony Schumacher, comeback racer of the year. In 2017, the Army car just seemed to be missing something all year long. Cue new crew Chief Mike Neff, from John Force Racing’s Funny Car teams, and you just might have the missing piece of the puzzle the Army team needs to go back to the front of the pack. FOX Sports: Give me your preseason pick for 2018 champions in the pro divisions. Top Fuel: Not easy to do this year, but it will be Steve Torrence edging out Doug Kalitta. Funny Car: Courtney Force will have the best car and can win if she’s up to the challenge. Pro Stock: A Tanner Gray/Greg Anderson showdown going down to late rounds at the last race, with Tanner coming out on top. Pro Stock Motorcycle: Bike belongs to the Harleys unless someone like LE Tonglet or Matt Smith can step up, but this time Andrew Hines will win. Top Fuel: Doug Kalitta (finally) — second in the points with only one win. Jim Oberhofer is now only tuning, for the title. Funny Car: Ron Capps — I love (tuner) Ron Tobler’s approach. Last two years, they’ve been tough to beat. Expect that to continue. Pro Stock: Heart surgery/teammates — not in 2018; it’s Greg Anderson’s year. Top Fuel: Steve Torrence; after a tough championship loss on the final day of the season, this team has a chip on its shoulder and everything needed to take the final step in ’18. Funny Car: Matt Hagan always has one of the quickest and fastest cars. If they can find more consistency, he will get his third championship. Pro Stock: Greg Anderson is overdue. He has the team, experience, mental toughness and horsepower to get another championship. Pro Stock Motorcycle: Eddie Krawiec, reigning champ, gets the nod over his Harley Davidson teammate.